Xi Jinping and his siblings are the children of the late Xi Zhongxun, a revolutionary fighter who helped Mao Zedong win control of China in 1949 with a pledge to end centuries of inequality and corruption. Now in line to be China’s next president, Xi Jinping has risen through the Communist Party with a reputation for clean government. Members of his extended family have expanded their business interests, including rare-earths mining, real estate and mobile-phone equipment. The holdings were traced using public and business records, interviews with acquaintances and Hong Kong and Chinese identity-card numbers. No assets were linked to Xi and his immediate family. There is no indication Xi intervened to advance his relatives’ business transactions, or of any wrongdoing by Xi or his extended family. Information compiled by Bloomberg News from official biographies, state newspaper articles, published family accounts and public records. As Xi climbed the Communist Party ranks, his extended family expanded their business interests to include minerals, real estate and mobile-phone equipment, according to public documents compiled by Bloomberg. No assets were traced to Xi, who turns 59 this month; his wife Peng Liyuan, 49, a famous People’s Liberation Army singer; or their daughter, the documents show. There is no indication Xi intervened to advance his relatives’ business transactions, or of any wrongdoing by Xi or his extended family. While the investments are obscured from public view by multiple holding companies, government restrictions on access to company documents and in some cases online censorship, they are identified in thousands of pages of regulatory filings. The trail also leads to a hillside villa overlooking the South China Sea in Hong Kong, with an estimated value of $31.5 million. 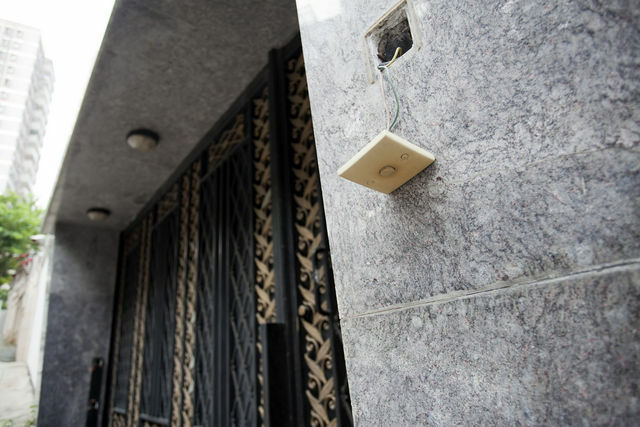 The doorbell ringer dangles from its wires, and neighbors say the house has been empty for years. 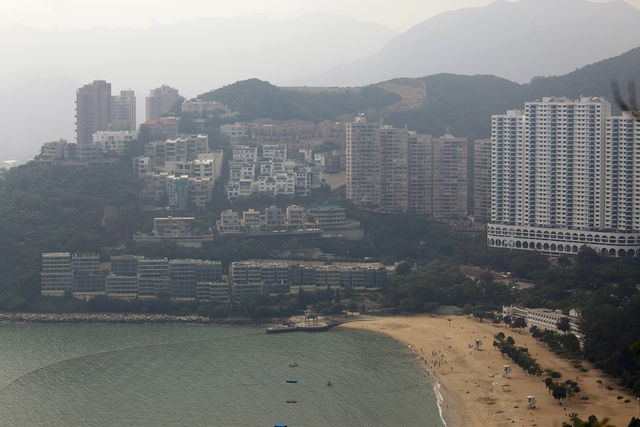 The family owns at least six other Hong Kong properties with a combined estimated value of $24.1 million. Xi has risen through the party over the past three decades, holding leadership positions in several provinces and joining the ruling Politburo Standing Committee in 2007. Along the way, he built a reputation for clean government. He led an anti-graft campaign in the rich coastal province of Zhejiang, where he issued the “rein in” warning to officials in 2004, according to a People’s Daily publication. In Shanghai, he was brought in as party chief after a 3.7 billion- yuan ($582 million) scandal. A 2009 cable from the U.S. Embassy in Beijing cited an acquaintance of Xi’s saying he wasn’t corrupt or driven by money. Xi was “repulsed by the all-encompassing commercialization of Chinese society, with its attendant nouveau riche, official corruption, loss of values, dignity, and self- respect,” the cable disclosed by Wikileaks said, citing the friend. Wikileaks publishes secret government documents online. A U.S. government spokesman declined to comment on the document. Increasing resentment over China’s most powerful families carving up the spoils of economic growth poses a challenge for the Communist Party. The income gap in urban China has widened more than in any other country in Asia over the past 20 years, according to the International Monetary Fund. “The average Chinese person gets angry when he hears about deals where people make hundreds of millions, or even billions of dollars, by trading on political influence,” said Barry Naughton, professor of Chinese economy at the University of California, San Diego, who wasn’t referring to the Xi family specifically. Scrutiny of officials’ wealth is intensifying before a once-in-a-decade transition of power later this year, when Xi and the next generation of leaders are set to be promoted. The ouster in March of Bo Xilai as party chief of China’s biggest municipality in an alleged graft and murder scandal fueled public anger over cronyism and corruption. It also spurred demands that top officials disclose their wealth in editorials in two Chinese financial publications and from microbloggers. Bo’s family accumulated at least $136 million in assets, Bloomberg News reported in April. Xi and his siblings are the children of the late Xi Zhongxun, a revolutionary fighter who helped Mao Zedong win control of China in 1949 with a pledge to end centuries of inequality and abuse of power for personal gain. That makes them “princelings,” scions of top officials and party figures whose lineages can help them wield influence in politics and business. Most of the extended Xi family’s assets traced by Bloomberg were owned by Xi’s older sister,Qi Qiaoqiao, 63; her husband Deng Jiagui, 61; and Qi’s daughter Zhang Yannan, 33, according to public records compiled by Bloomberg. Deng held an indirect 18 percent stake as recently as June 8 in Jiangxi Rare Earth & Rare Metals Tungsten Group Corp. Prices of the minerals used in wind turbines and U.S. smart bombs have surged as China tightened supply. Qi and Deng’s share of the assets of Shenzhen Yuanwei Investment Co., a real-estate and diversified holding company, totaled 1.83 billion yuan ($288 million), a December 2011 filing shows. Other companies in the Yuanwei group wholly owned by the couple have combined assets of at least 539.3 million yuan ($84.8 million). 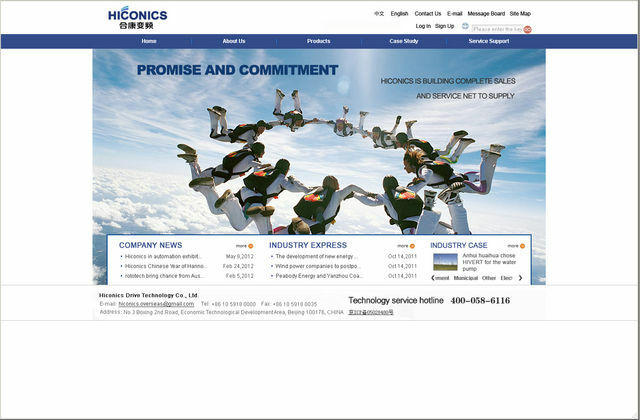 A 3.17 million-yuan investment by Zhang in Beijing-based Hiconics Drive Technology Co. (300048) has increased 40-fold since 2009 to 128.4 million yuan ($20.2 million) as of yesterday’s close in Shenzhen. Deng, reached on his mobile phone, said he was retired. When asked about his wife, Zhang and their businesses across the country, he said: “It’s not convenient for me to talk to you about this too much.” Attempts to reach Qi and Zhang directly or through their companies by phone and fax, as well as visits to addresses found on filings, were unsuccessful. 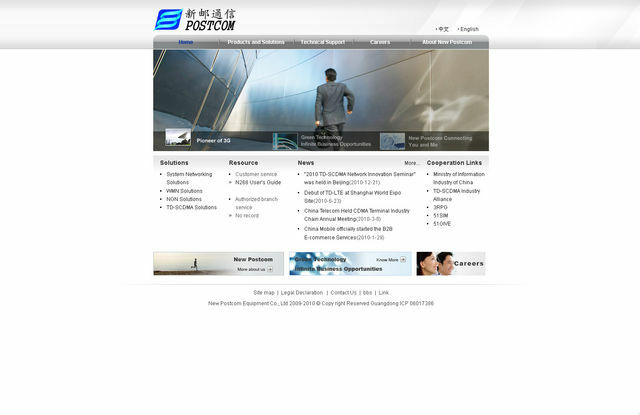 Another brother-in-law of Xi Jinping, Wu Long, ran a telecommunications company named New Postcom Equipment Co. The company was owned as of May 28 by relatives three times removed from Wu — the family of his younger brother’s wife, according to public documents and an interview with one of the company’s registered owners. New Postcom won hundreds of millions of yuan in contracts from state-owned China Mobile Communications Corp., the world’s biggest phone company by number of users, according to analysts at BDA China Ltd., a Beijing-based consulting firm that advises technology companies. Dozens of people contacted over the past two months wouldn’t comment about the Xi family on the record because of the sensitivity of the issue. Details from Web pages profiling one of Xi Jinping’s nieces and her British husband were deleted after the two people were contacted. The total assets of companies owned by the Xi family gives the breadth of their businesses and isn’t an indication of profitability. Hong Kong property values were based on recent transactions involving comparable homes. Bloomberg’s accounting included only assets, property and shareholdings in which there was documentation of ownership by a family member and an amount could be clearly assigned. Assets were traced using public and business records, interviews with acquaintances and Hong Kong and Chinese identity-card numbers. In cases where family members use different names in mainland China and in Hong Kong, Bloomberg verified identities by speaking to people who had met them and through multiple company documents that show the same names together and shared addresses. Bloomberg provided a list showing the Xi family’s holdings to China’s Foreign Ministry. The government declined to comment. In October 2000, Xi Zhongxun’s family gathered on his 87th birthday for a photograph at a state guest house in Shenzhen, two years before the patriarch’s death. The southern metropolis bordering Hong Kong is now one of China’s richest, thanks in part to the elder Xi. He persuaded former leader Deng Xiaoping to pioneer China’s experiment with open markets in what was a fishing village. In the photo, Xi Zhongxun, dressed in a red sweater and holding a cane, is seated in an overstuffed armchair. To his left sits daughter Qi Qiaoqiao. On his right, a young grandson perches on doily-covered armrests next to the elder Xi’s wife, Qi Xin. Lined up behind are Qiaoqiao’s husband, Deng Jiagui; her brothers Xi Yuanping and presidential heir Xi Jinping; and sister Qi An’an alongside her husband Wu Long. Xi Zhongxun worked to imbue his children with the revolutionary spirit, according to accounts in state media that portray him as a principled and moral leader. Family members have recounted in interviews how he dressed them in patched hand-me-downs. He also made Qiaoqiao turn down her top-choice middle school in Beijing, which offered her a slot despite her falling half a point short of the required grade, according to a memorial book about him. Instead, she attended another school under her mother’s family name, Qi, so classmates wouldn’t know her background. Qiaoqiao and her sister An’an also sometimes use their father’s family name, Xi. In a speech on March 1 this year before about 2,200 cadres at the central party school in Beijing where members are trained, Xi Jinping said that some were joining because they believed it was a ticket to wealth. “It is more difficult, yet more vital than ever to keep the party pure,” he said, according to a transcript of his speech in an official magazine. His daughter, Xi Mingze, has avoided the spotlight. She studies at Harvard University in Cambridge, Massachusetts, under an assumed name. 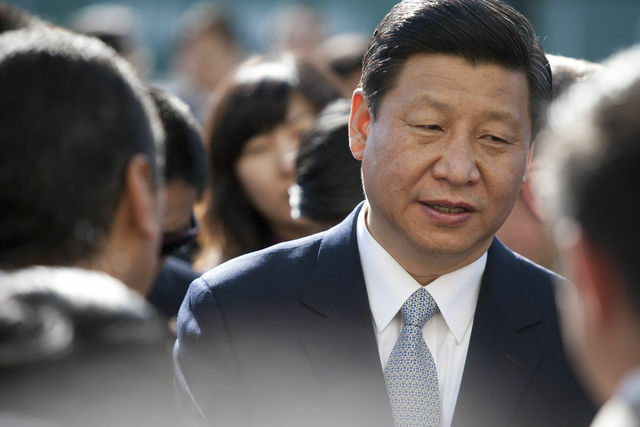 Xi’s elevation to replace Hu Jintao as China’s top leader isn’t yet formalized. He must be picked as the Communist Party’s general secretary in a meeting later this year and then be selected by the country’s legislature as president next March. Disgruntlement over how members of the ruling elite translate political power into personal fortunes has existed since Deng Xiaoping’s economic reforms began three decades ago, when he said some people could get rich first and help others get wealthy later. The relatives of other top officials have forged business careers. Premier Wen Jiabao’s son co-founded a private-equity company. The son of Wen’s predecessor, Zhu Rongji, heads a Chinese investment bank. Public criticism is mounting against ostentatious displays of wealth by officials. Microbloggers tracking designer labels sported by cadres expressed disgust last year at a gold Rolex watch worn by a former customs minister. They castigated the daughter of former Premier Li Peng for wearing a pink Emilio Pucci suit to the nation’s annual legislative meeting this March. Some complained that the 12,000 yuan they said it cost would pay for warm clothes for 200 poor children. Premier Wen told a meeting of China’s State Council on March 26 that power must be exercised “under the sun” to combat corruption. While officials in China must report their income and assets to authorities, as well as personal information about their immediate family, the disclosures aren’t public. The lack of transparency fuels a belief that the route to wealth depends on what Chinese call “guanxi,” a catch-all word for the connections considered crucial for doing business in the country. It helps explain why princelings with no official posts wield influence. Or, as a Chinese proverb puts it: When a man gets power, even his chickens and dogs rise to heaven. “If you are a sibling of someone who is very important in China, automatically people will see you as a potential agent of influence and will treat you well in the hope of gaining guanxi with the bigwig relative,” said Roderick MacFarquhar, a professor of government at Harvard who focuses on Chinese elite politics. The link between political power and wealth isn’t unique to China. Lyndon B. Johnson was so poor starting out in life that he borrowed $75 to enroll in Southwest Texas State Teachers College in 1927, according to his presidential library. After almost three decades of elective office, he and his family had media and real-estate holdings worth $14 million in 1964, his first full year as president, according to an August 1964 article in Life Magazine. Yao Jianfu, a retired government researcher who has called for greater disclosure of assets by leaders, said it wouldn’t be right to tie Xi Jinping to the businesses of his family. “If other members of the family are independent business representatives, I think it’s unfair to describe it as a family clan and count it as Xi Jinping’s,” Yao said in a telephone interview. The lineage of Xi’s siblings hasn’t always been an advantage. Xi Zhongxun, the father, was purged by Mao in 1962. Like many other princelings, the children were scattered to the countryside during the Cultural Revolution. The 5-yuan payment Qiaoqiao received for working in a corps with 500 other youths in Inner Mongolia made her feel rich, she recalled in an interview on the website of Beijing-based Tsinghua University. After Mao’s death in 1976, the family was rehabilitated and Xi’s sister Qiaoqiao pursued a career with the military and as a director with the People’s Armed Police. She resigned to care for her father, who had retired in 1990, Qiaoqiao said in the Tsinghua interview. A year later, she bought an apartment in what was then the British colony of Hong Kong for HK$3 million ($387,000) — at the time, equivalent to almost 900 times the average Chinese worker’s annual salary. She still owns the property, in the Pacific Palisades complex in Braemar Hill on Hong Kong island, land registry records show. By 1997, Qi and Deng had recorded an investment of 15.3 million yuan in a company that later became Shenzhen Yuanwei Industries Co., a holding group, documents show. The assets of that company aren’t publicly available. However, one of its subsidiaries, Shenzhen Yuanwei Investment, had assets of 1.85 billion yuan ($291 million) at the end of 2010. It is 99 percent owned by the couple, according to a December 2011 filing by a securities firm. It was after her father’s death in 2002 that Qi said she decided to go into business, according to the Tsinghua interview. 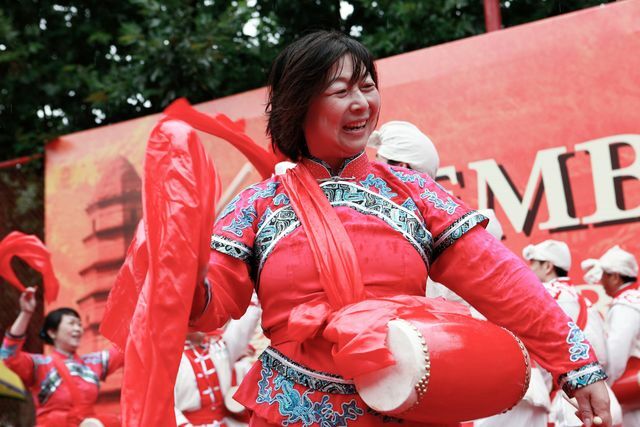 She graduated from Tsinghua’s executive master’s degree in business administration program in 2006 and founded its folk-drumming team. It plays in the style of Shaanxi province, where Xi Zhongxun was born. The names Qi Qiaoqiao, Deng Jiagui or Zhang Yannan appear on the filings of at least 25 companies over the past two decades in China and Hong Kong, either as shareholders, directors or legal representatives — a term that denotes the person responsible for a company, such as its chairman. In some filings, Qi used the name Chai Lin-hing. 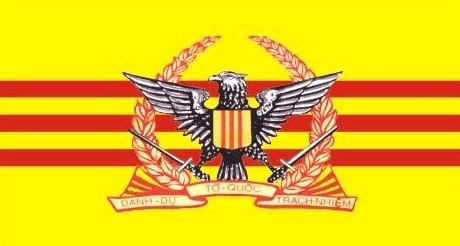 The alias was linked to her because of biographical details in a Chinese company document that match those in two published interviews with Qi Qiaoqiao. Chai Lin-hing has owned multiple companies and a property in Hong Kong with Deng Jiagui. In 2005, Zhang Yannan started appearing on Hong Kong documents, when Qi and Deng transferred to her 99.98 percent of a property-holding company that owns one apartment, a unit in the Regent on the Park development with an estimated value of HK$54 million ($6.96 million). 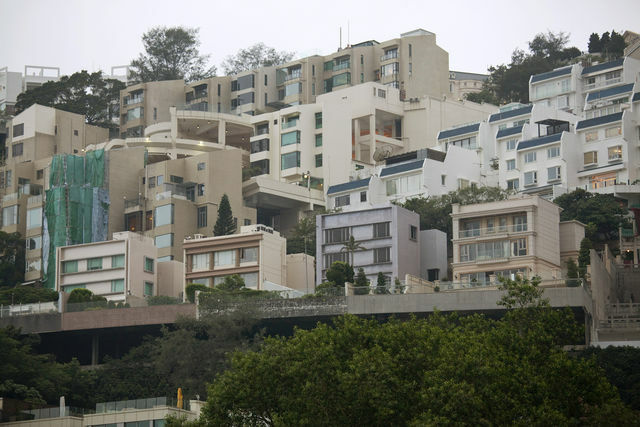 Land registry records show Zhang paid HK$150 million ($19 million) in 2009 for the villa on Belleview Drive in Repulse Bay, one of Hong Kong’s most exclusive neighborhoods. Property prices have since jumped about 60 percent in the area. Her Hong Kong identity card number, written on one of the sale documents, matches that found on the company she owns with her mother and Deng Jiagui, Special Joy Investments Ltd. All three people share the same Hong Kong address in a May 12 filing. Zhang owns four other luxury units in the Convention Plaza Apartments residential tower with panoramic harbor views adjoining the Grand Hyatt hotel. Since its 1997 return by Britain to Chinese rule, Hong Kong has been governed autonomously, with its own legal and banking systems. About a third of all purchases of new luxury homes in the territory are by mainland Chinese buyers, according to Centaline Property Agency Ltd. In mainland China, Qi and Deng’s marquee project is a luxury housing complex called Guanyuan near Beijing’s financial district, boasting manicured gardens and a gray-brick exterior reminiscent of the city’s historic courtyard homes. Financial details on the developer aren’t available because of restrictions on company searches in Beijing. To finance the development, the couple borrowed from friends and banks, and aimed to attract officials and executives at state-owned companies, they told V Marketing China magazine in a 2006 interview. Property prices in the capital rose 79 percent in the following four years, government data show. The site’s developer — 70 percent owned by Qi and Deng’s Yuanwei Investment — acquired more than 10,000 square meters of land for 95.6 million yuan in 2004 to build Guanyuan, according to the Beijing Municipal Bureau of Land and Resources. A 189-square-meter (2,034-square-foot) three-bedroom apartment in Guanyuan listed online in June for 15 million yuan. One square meter sells for 79,365 yuan — more than double China’s annual per capita gross domestic product. Public anger at soaring housing costs has made real estate an especially sensitive issue for leaders in China. Property prices were “far from a reasonable level,” Premier Wen said in March. Those with the right connections are able to gain access to assets that are controlled by the government, according to Bo Zhiyue, a senior research fellow at the National University of Singapore’s East Asian Institute. “All they need is to get into the game one small step ahead of the others and they can make a huge gain,” he said. Bo wasn’t discussing the specific investments of Xi’s family members. One of Deng’s well-timed acquisitions was in a state-owned company with investments in rare-earth metals. Deng’s Shanghai Wangchao Investment Co. bought a 30 percent stake in Jiangxi Rare Earth for 450 million yuan ($71 million) in 2008, according to a bond prospectus. Deng owned 60 percent of Shanghai Wangchao. A copy of Deng’s Chinese identity card found in company registry documents matches one found in filings of a Yuanwei subsidiary. Yuanwei group-linked executives held the posts of vice chairman and chief financial officer in Jiangxi Rare Earth, the filings show. The investment came as China, which has a near monopoly on production of the metals, was tightening control over production and exports, a policy that led to a more than fourfold surge in prices for some rare earths in 2011. A woman who answered the phone at Jiangxi Rare Earth’s head office in Nanchang said she was unable to provide financial information because the company wasn’t listed on the stock exchange. 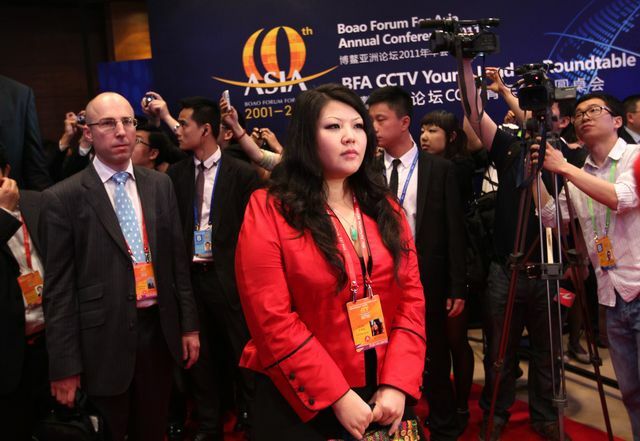 She declined to discuss Shanghai Wangchao’s investment, saying it was too sensitive. Qi Qiaoqiao’s daughter Zhang made her 3.17 million-yuan investment in Hiconics in the three years before the Beijing- based manufacturer of electronic devices sold shares to the public in 2010. Hiconics founder Liu Jincheng was in the same executive MBA class as Qi Qiaoqiao, according to his profile on Tsinghua’s website. Wang Dong, the company’s board secretary, didn’t respond to faxed questions or phone calls seeking comment. The business interests of Qi and Deng may be more extensive still: The names appear as the legal representative of at least 11 companies in Beijing and Shenzhen, cities where restrictions on access to filings make it difficult to determine ownership of companies or asset values. For example, Deng was the legal representative of a Beijing-based company that bought a 0.8 percent stake in one of China’s biggest developers, Dalian Wanda Commercial Properties Co., for 30 million yuan in a 2009 private placement. Dalian Wanda Commercial had sales of 95.3 billion yuan ($15 billion) last year. Dalian Wanda Commercial “doesn’t comment on private transactions,” it said in an e-mailed statement. Deng also served as legal representative of a company that won a government contract to help build a 1 billion-yuan ($157 million) bridge in central China’s Hubei province, according to an official website and corporate records. Complex ownership structures are common in China, according to Victor Shih, a professor at Northwestern University in Evanston, Illinois, who studies the link between finance and politics in the country. Princelings engage people they trust, often members of their extended families, to open companies on their behalf that bid for contracts from state-owned enterprises, said Shih, who wasn’t referring specifically to Xi’s family. 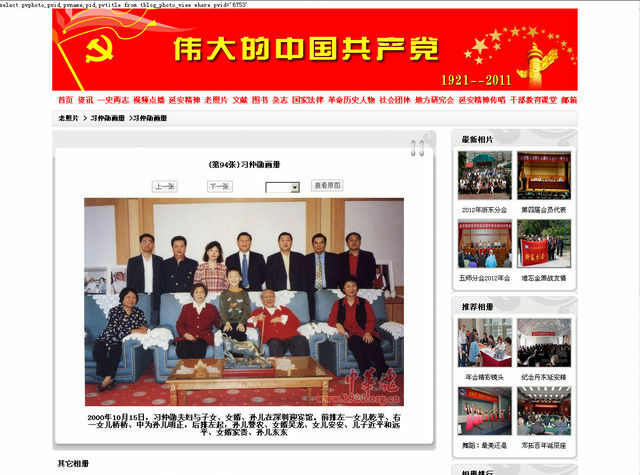 In the case of Xi Jinping’s brother-in-law, Wu Long, he’s identified as chairman of New Postcom in two reports on the website of the Guangzhou Development District, one in 2009 and the other a year later. New Postcom is owned by two people named Geng Minhua and Hua Feng, filings show. Their address in the company documents leads to the ninth floor of a decades-old concrete tower in Beijing where Geng’s elderly mother lives. Tacked to the wall of her living room was the mobile-phone number of her daughter. When contacted by phone June 6, Geng confirmed she owned New Postcom with her son Hua Feng — and that her daughter was married to Wu Ming, Wu Long’s younger brother. Geng said Wu Long headed the company and she wasn’t involved in the management. New Postcom identified two different people — Hong Ying and Ma Wenbiao — as its owners in a six-page, June 27 statement and said the head of the company was a person named Liu Ran. The company didn’t respond to repeated requests to explain the discrepancies. Wu Long and his wife, Qi An’an, couldn’t be reached for comment. New Postcom was an upstart company that benefited from state contracts. It specialized in the government-mandated home- grown 3G mobile-phone standard deployed by China Mobile. In 2007, it won a share of a tender to supply handsets, beating out more established competitors such as Motorola Inc., according to BDA China. In 2007, the domestic mobile standard was still being developed, and many of the bigger players were sitting on the sidelines, allowing New Postcom a bigger share of the market, the company said in the statement. William Moss, the Beijing-based spokesman of the Motorola Mobility unit that was split off from Motorola last year and purchased by Google Inc. (GOOG), declined to comment on details of any individual bids. China Mobile “has always insisted on the principle of open, fair, just and credible bidding” to select vendors, company spokesman Zhang Xuan said by e-mail. Xi Jinping’s younger brother, Xi Yuanping, is the founding chairman of an energy advisory body called the International Energy Conservation Environmental Protection Association. He doesn’t play an active role in the organization, according to an employee who declined to be identified. One of Xi’s nieces has a higher profile. Hiu Ng, the daughter of Qi An’an and Wu Long, and her husband Daniel Foa, 35, last year were listed as speakers at a networking symposium in the Maldives on sustainable tourism with the likes of the U.K. billionaire Richard Branson and the actress Daryl Hannah. Ng recently began working with Hudson Clean Energy Partners LP, which manages a fund of more than $1 billion in the U.S., to help identify investments in China. Details about the couple were removed from Internet profiles after Bloomberg reporters contacted them. Foa said by phone he couldn’t comment about FairKlima Capital, a clean- energy fund they set up in 2007. Ng didn’t respond to e-mails asking for an interview. Neil Auerbach, the Teaneck, New Jersey-based private-equity firm’s founder, said he was working with Ng because of her longstanding passion for sustainability.